Extract the files to your Hard Drive. 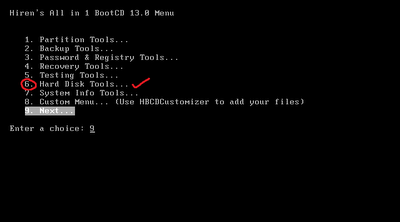 Burn the "Hiren's BootCD 14.1.iso" image file to a CD with your favorite burning software's like Nero (or) you can click the "BurnToCD.cmd" file in the same folder for easy job. 1. 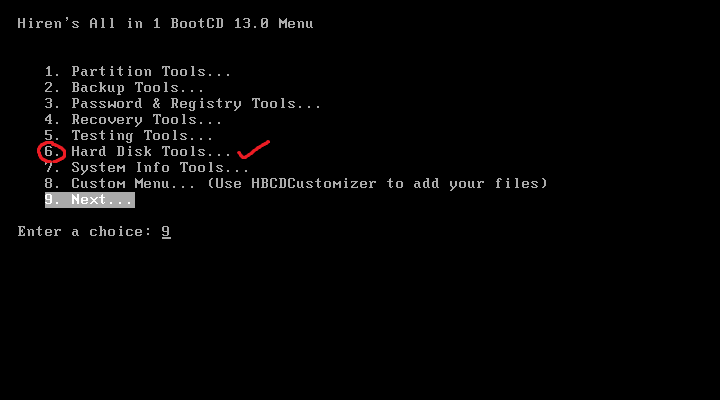 Insert the "Hiren's BootCD 14.1" into your CD/DVD drive. 2. 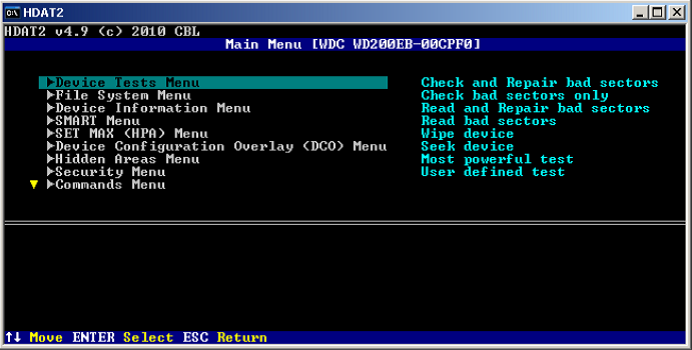 Boot the PC from your CD/DVD drive by setting priority in your bios menu. 4. 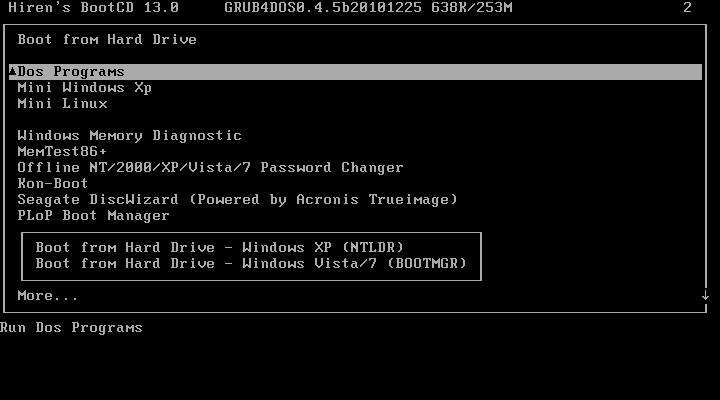 Enter the choice : 6 for Hard Disk Tools in the menu. 5. Enter the choice : 1 for HDAT2 4.53 (Test/Repair of Bad Sectors). 6. 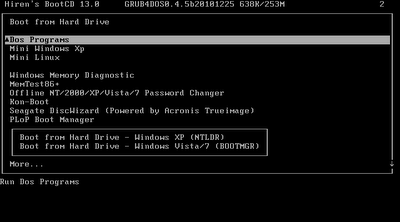 Now the HDAT2 program window will be opened and select your Hard Disk from the menu. 7. 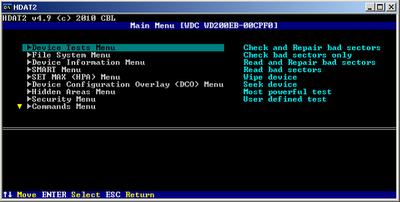 From the "Devices Test Menu" choose the option "Check and Repair Bad Sectors". 8. Now the repairing process will continue for about several minutes based on your Hard Disk size. NOTE1 : Backup your data on your Hard Disk before repairing bad sectors.